The Indigenous Theatre department of the National Arts Centre received word late last month that they’d been passed over for $3.5 million of requested funding in the 2019 federal budget. Plans to create an Indigenous Theatre department for the National Arts Centre began back in 2015, with Loring appointed to the artistic director position in October of 2017. Loring is a Nlaka’pamux playwright, actor, and director from the Lytton First Nation in British Columbia and won the Governor General’s Award for English-language Drama in 2009 for his play Where the Blood Mixes. 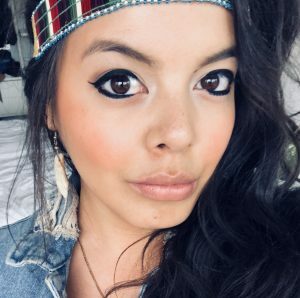 The Indigenous Theatre department’s 2019/2020 inaugural season is still set to launch this year, “albeit in a greatly diminished capacity,” according to Loring. “I have now been put in the disturbing position of overseeing a department whose creation and existence is a financial burden to an already stressed institution—the NAC has not received an increase to its annual base funding in 15 years,” said Loring. The decision to deny funding has been met with outrage and disappointment from members of Indigenous arts communities online. Many are being encouraged to reach out to the Minister of Canadian Heritage and Multiculturalism, Pablo Rodriguez, who is cited as being responsible for the budget decision.